We will hold two concerts this year in accordance with the flower season. Please enjoy beautiful music and flower collaboration. 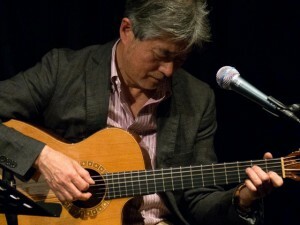 [Kimura Jun's profile] Formed a unit of Bossa Nova in high school days Sarah guitarist who has published a number of domestic and international concerts as a Brazilian guitarist from 24 years old since he was a company employee of 50 years. Before the performance of Kimura, the performance of "Nabu" as the opening act starts from 10: 30 !! 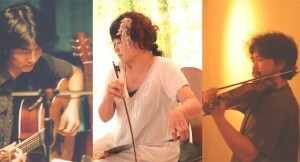 Garden concert by acoustic unit "Kikkorizu"
[Kick Collie's profile] Formed 2004 year. Music piece saw called "musical saw" and ukulele, vocal capo, yasushi Ikeda of guitar & chorus, Hiroshi Suzuki of violin & guitar playing peaceful sound is comfortable acoustic unit played. 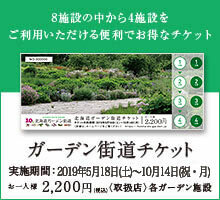 Admission fee: Adults 500 yen (free of charge to primary school students) Garden entrance seals will be used as tickets. 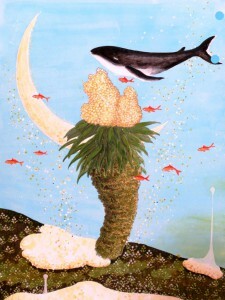 ◎ On rainy weather any day will be held in Nayakafee. "Ueno Farm Garden Story Exhibition"
It is the first photo exhibition to introduce the situation from the beginning of the garden to the present day. 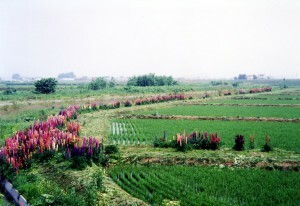 A garden concert will be held in the season where the garden is the most spectacular. All guests who entered the garden can hear it, so please come see us.